Pressure is mounting on Chancellor Philip Hammond to give property buyers in Batterseaand Brixton a further boost by announcing a change to stamp duty rates in his first Autumn Statement on 23 November. A marked reduction in the volume of homes coming onto the market in Battersea and Brixton has not only frustrated first-time buyers and those seeking to move up the property ladder, it has increased fears of a wider retail recession. This helps explains why the Bank of England has already cut its base rate to an all-time low of 0.25%, which has led to the introduction of some very attractive mortgage deals. Some blame the slowdown in the local property market on Britain voting to leave the EU in June. However, its cause can be traced back to previous Chancellor George Osborne increasing stamp duty rates on property above £925,000 to 10% in December 2014 and then adding a further 3% stamp duty surcharge for buy-to-let investors that came into force on 1 April this year. As Eden Harper has previously explained, stamp duty rates for the purchasers of a property in Battersea or Brixton that will be their primary residence vary. The tax is not payable on the first £125,000 of a property purchase price, but then rises to 2% on any part of a purchase price between £125,001 and £250,000, 5% on any part of a purchase price between £250,001 and £925,000, 10% on any part of a purchase price between £925,001 and £1.5m and 12% on any part of a purchase price over £1.5m. Anyone left with two or more properties in England, Wales and Northern Ireland after buying a property in Battersea or Brixton is forced to pay an extra 3% in stamp duty on each band – including the previously exempt £0-£125,000 band. Steve Goodall, managing director of Legal & General Surveying Services, points out that buoyant property prices in Battersea, Brixton and the UK as a whole underpin the country’s collective sense of economic wellbeing. “Without it, it is almost impossible to meaningfully grow consumer spending. White goods, home furnishings, cars, even holidays require the economic confidence that robust house prices give,” he says. 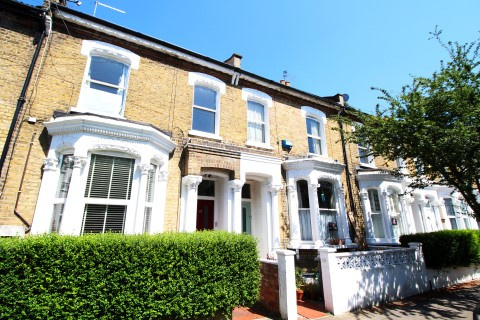 We acknowledge Osborne’s altering of stamp duty rates may have been an attempt to equalise the impact of taxation on buyers throughout the property chain, but it resulted in a slowdown in sales volumes in Brixton and Battersea, not just a well-publicised drop in prices at the top end of the central London market. Goodall has called for a stamp duty holiday in a similar fashion to Chancellor Norman Lamont suspending stamp duty in the 1991 recession to kick-start sales. However, EU law currently prohibits this until Brexit is confirmed. This is why others are calling for the 3% stamp duty surcharge for buy-to-let investors to be scrapped. He adds that recent figures from the Council of Mortgage Lenders show that landlord borrowing was 21% down year-on-year in July, while first-time buyers’ borrowing was down 19% month-on-month, and 4% year-on-year. The call to help the buy-to-let market in Battersea and Brixton has received support from the Royal Institution of Chartered Surveyors. It says that between 2001 and 2014 the number of UK households who were renting a property rose from 2.3 million to 5.4 million and that any further investment in property by landlords had been hit by changes to stamp duty in April. However, the tax paid by property buyers in Battersea – where the stamp duty bill for the purchasers of an average-priced £859,739 property is over £32,986 (or more than £59,779 if that purchase is not the buyer’s primary residence) – helps explain why the capital pays more SDLT than any other part of the country. In Brixton, meanwhile, the stamp duty paid by the purchasers of an average-priced £465,564 flat is over £13,279 (or over £27,245 if it is a buy-to-let investment). Property sales in London produced £3.37bn for the Treasury in stamp duty in the year to 31 March, up 11% on the previous 12 months. This means the capital now generates 46% of stamp duty receipts in England and Wales. Yet the number of transactions is falling, particularly in the £1m-plus bracket that last year generated £2.6bn in stamp duty for the Treasury. If the government is serious about helping property buyers in Battersea and Brixton – and stimulate the wider economy – we can only hope the Autumn Statement contains good news about stamp duty. For more information about property in Battersea and Brixton, contact Eden Harper today.